(Reuters) - An armed man robbed a craps table at the Bellagio casino of about $1.5 million in chips on Tuesday before escaping on a motorcycle, Las Vegas police said. A police spokeswoman said the unidentified suspect entered the casino at about 3:50 a.m. local time, wearing a full-face motorcycle helmet, and walked directly to a craps table. "He pulled a gun, told everyone not to move and took approximately $1.5 million worth of casino chips. The suspect then ran back out to the motorcycle and exited westbound on Flamingo Boulevard," the spokeswoman said. Police believe the same suspect may have robbed the Las Vegas Suncoast Casino poker room cashier last week. 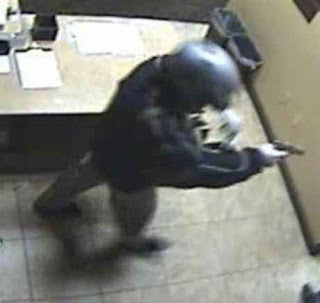 In that incident, a suspect wearing a similar helmet got away with about $20,000 in chips. MGM Resorts, which owns the Bellagio, confirmed the robbery occurred but declined to give further details. Tuesday's incident was the 10th Las Vegas casino robbery this year, but it was unusual for its brazenness and the size of the haul.